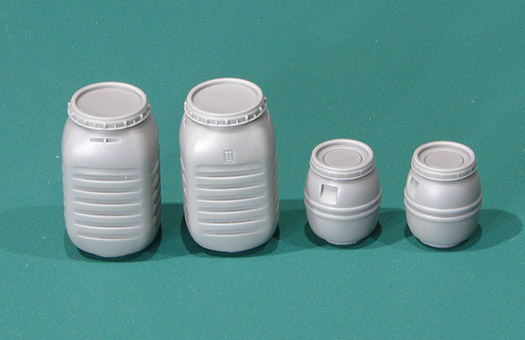 Plastic food containers. Seen everywhere. Usually blue but also blue or blue, sometimes blue or even blue. 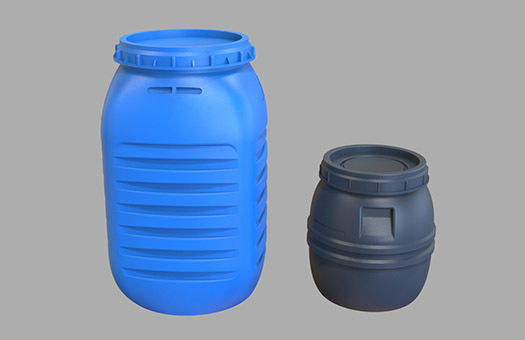 Made from high density polyethylene (HDPE) in different sizes and shapes. Such containers and barrels are seen worldwide and are used to store everything. Well, basically are used for food storage but often are upcycled and used in many interesting ways. Blue shall be the colour of the containers and the colour of the containers shall be blue. Well, OK, you may see grey, black, white or yellow but industry standard for food storage is blue because blue pigment has a higher UV light resistance than natural HDPE and… looks cleaner much longer because doesn’t show dirt or residue as readily as white ones. 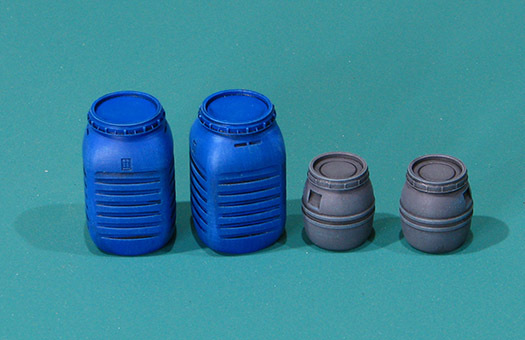 Set contains 4 resin elements in 1/35 scale. 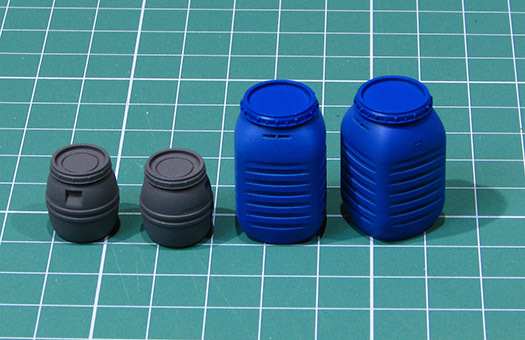 Probably the most photos you’ll find on Google searching blue poly food containers term. Of course most will be blue but you’ll find other colours too as well as information about labels and so on. You may also check The Cary Company website to see more designs, colours, labels and info.